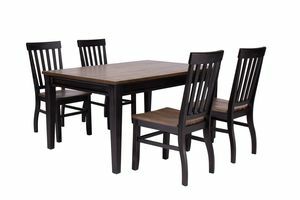 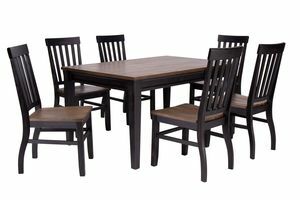 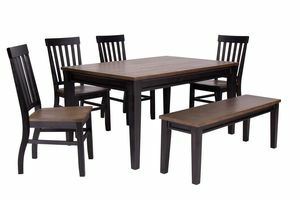 Two-tone ebony and driftwood finish in a casual dining set. 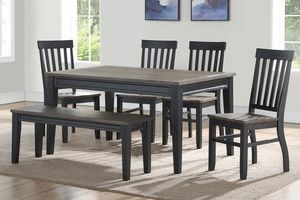 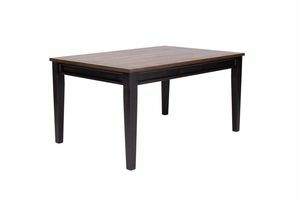 Available with side chairs or bench, the Dorado table can accommodate six chairs or one or two benches. 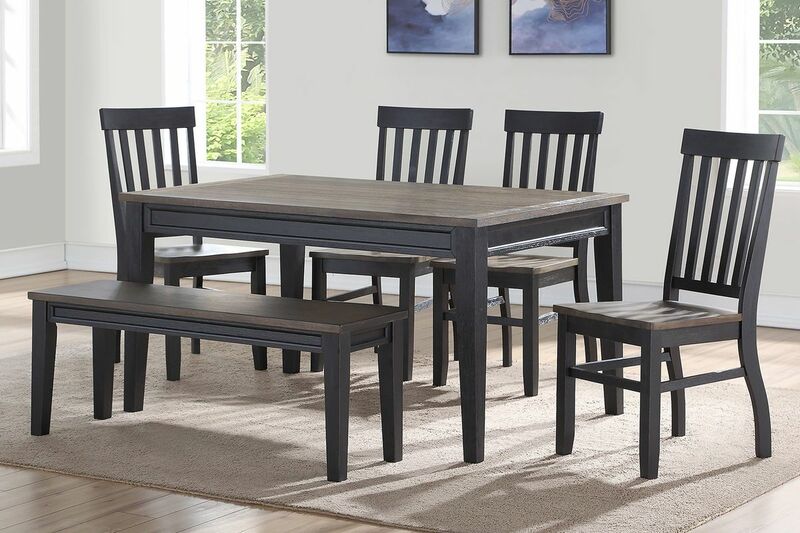 The farmhouse styling is updated with an ebony finish to give a modern take on classic cottage styling. 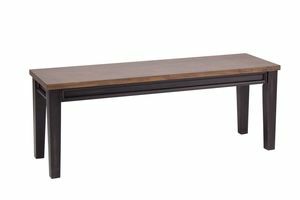 Constructed of mango solids and acacia veneers. 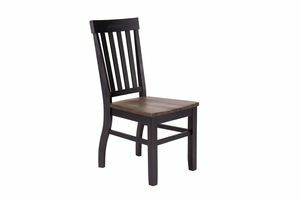 Details include breadbox veneer table top with plank effect, picture frame table apron, schoolhouse chair has scoop seat for comfort and features stretchers and tapered leg.